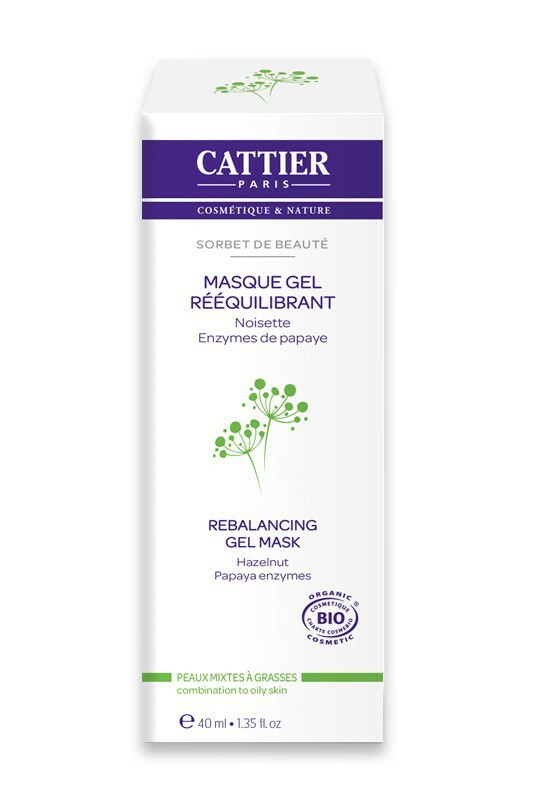 With its ultra-fresh, light texture, "Sorbet de Beauté" rebalancing Organic Gel Mask effectively moisturises combination to oily skin, matifies and restores purity and softness. Phycosaccharide® (extracts of brown algae and zinc), with rebalancing and astringent properties, eliminates excess sebum and purifies the skin. Bioecolia®, a natural active ingredient protecting the skin's ecosystem, helps to maintain the natural balance of the epidermis. A moisturising complex (Hydracire®S, organic aloe vera and organic hazelnut oil) soothes and repairs the skin while making it soft and supple. The exfoliating action of the papaya enzymes stimulates cell renewal and reveals a radiant complexion. 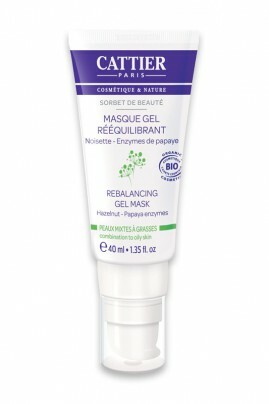 After using Cattier's Natural Gel Mask, the skin is perfectly moisturised and shine-free, for an even glowing complexion ! This organic mask purifies and refreshes your skin like an iced sherbet ! Apply Cattier Natural Face Mask once to twice a week, in thin layer, on clean dry skin. Leave on for 5 minutes then rinse off with water. Rich in natural and organic purifying ingredients !